He made the remarks at the Asia Society on Friday, a day after Sushma Swaraj had refused to interact with him at the South Asian Association Regional Cooperation (Saarc) ministerial meeting and left after delivering her speech without staying on for his address. 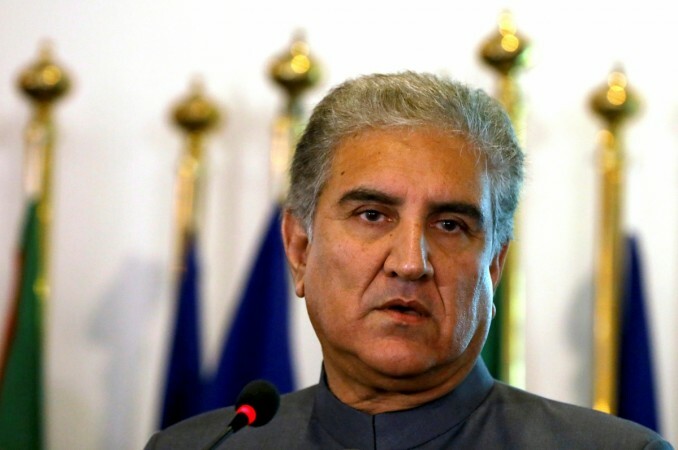 Pakistan Foreign Minister Shah Mehmood Qureshi has turned the diplomatic snub by Indian External Affairs Minister Sushma Swaraj at the Saarc meeting into a personal vendetta, making unprofessional remarks in public about her to the accompaniment of derisive laughter. "I was quite concerned when I saw the Minister for External Affairs when I was in the room she looked pale to me," Qureshi said while laughing. "She looked very worried. I wish I wish we could have smiled at each other." Most people in the audience, which included a large number of people of Pakistani descent, did not join his laughter. With exaggerated gestures, Qureshi added: "I could see the immense strain and when she left, she wasn't even willing to engage with the media. I had no problem, but I could see the pressure, but I could see the political pressure on her, politics, nothing else, politics, domestic politics." After the Saarc meeting on Thursday, he had insinuated to the Pakistani media that maybe she was feeling unwell, according to Samaa TV. Sushma Swaraj, however, went on to have her scheduled meetings with Japanese Foreign Minister Taro Kono and Syrian Deputy Prime Minister Walid al Muallem. 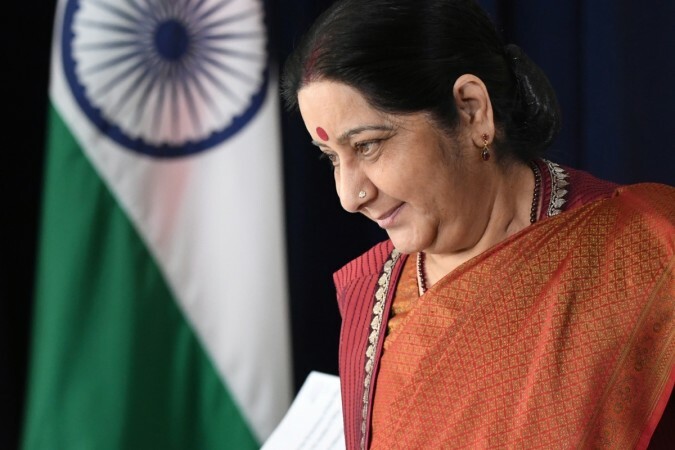 India had initially agreed last week to recently-elected Prime Minister Imran Khan's request for holding talks between Sushma Swaraj and Qureshi on the sidelines of the UN General Assembly meeting. However, New Delhi cancelled the talks a day later after three Indian police personnel were killed in Jammu and Kashmir and Pakistan issued a stamp honouring a terrorist leader. In keeping with India's resolve not to engage diplomatically with Pakistan while the terrorism issue persisted, Sushma Swaraj has steadfastly refused to engage with Qureshi even informally while in New York for the UN General Assembly meeting. Asked by a Pakistani journalist about why the talks didn't take place, Qureshi replied alluding to Indian Prime Minister Narendra Modi and Bharatiya Janata Party, but without naming them. "Why are they reluctant? Simply, sir, politics, elections, elections, the scare of the electorate. They have taken the pendulum, they have swung the pendulum to such an extreme, now they are finding it difficult to bring it back." "And with elections around the corner and they felt it could boomerang, that's why they were shy," he added. But recalling Khan's offer in his first speech after the election to take two steps for every step India took, Qureshi reiterated Islamabad's keenness for talks. "Whenever you are ready, our message is loud and clear, Pakistan will never shy away because we want to move on, we want the region to develop," he said. Qureshi said the Pakistan election that brought Khan to power was a turning point for the nation. "People of Pakistan are clear that extremism has to be reversed, militancy is not what we need. Terrorism has hit us more than anyone else." About the growing ties between New Delhi and Washington, Qureshi said: "Today India is a strategic partner of the US, (but) we have no problem with that." However, displaying a sense of insecurity, he added: "... But why lose old friends? Have new ones, why lose old friends." In return for continued help to the US in Afghanistan, he wanted Washington to pressure India on relations with Pakistan. "If the US wants us to help (in Afghanistan) and we want to help in our own interest, because we want peace in the region, then they have to tell their new strategic partner to give us ease on the eastern side so we can concentrate on areas of mutual interest," he said.